Bracelet stacks are a simple way to accessorize and easy to mix and match with just about anything! They are lightweight and easy to put on and take off. It measures 6 inches at the smallest size and has a secure sliding knot closure. This makes the bracelet fit a variety of different wrist sizes. Simply take each cord and pull pull until it feels most comfortable on your wrist. The extra cord can simply be tucked under your bracelet to keep it out of the way. Looking for different color options? Be sure to check out the rest of my macrame bracelet selection! Adjustable Bracelet Stack. Macrame Jewelry Set. Beaded Bracelets. Friendship Bracelets. Boutique Fashion. Summer Jewelry. Adjustable Plum Bracelet Stack. Macrame Jewelry Set. Beaded Bracelets. Friendship Bracelets. Boutique Fashion. Summer Jewelry. Adjustable Bracelet Stack. Macrame Jewelry Set. Beaded Bracelets. Friendship Bracelets. Boutique Fashion. Summer Jewelry. Jewelry Set. Cactus Charm Bracelet. Macrame Jewelry Set. Adjustable Bracelet Stack. Gold Cross Charm Bracelet. Macrame Jewelry Set. Adjustable Bracelet Stack. Adjustable Bracelet. Macrame Jewelry. Beaded Bracelets. Friendship Bracelets. Boutique Fashion. Statement Jewelry. Inspirational Jewelry. Adjustable Charm Bracelet Stack. Adjustable Macrame Bracelets. Bracelet Set. Never Give Up Adjustable Bracelet. Macrame Jewelry. Beaded Bracelets. Boutique Fashion. Statement Jewelry. Inspirational Jewelry. 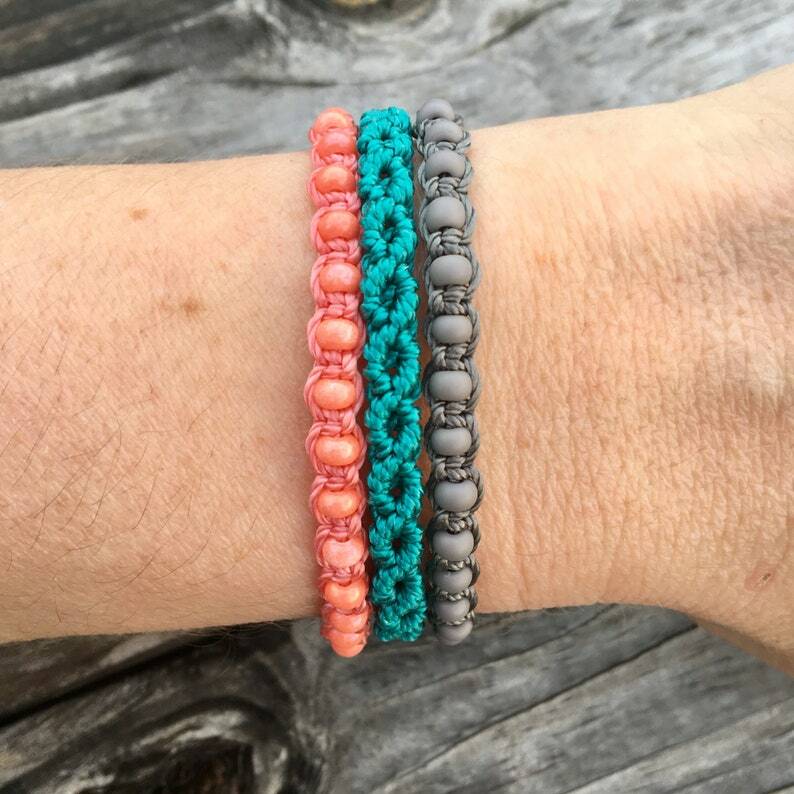 Micro Macrame Bracelet Stack. Beaded Bracelets. Adjustable Bracelet Set. Boutique Fashion. Arm Candy. Friendship Bracelet Set. Picasso Bead.